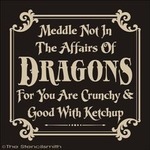 Here be MYTHIC DRAGONS and lots of TREATS! To summon a Mythic Dragon, you must collect fragments to complete that dragon's Mythic Relic. Visit the Mythic Hall of Mysteries to roll the 20-sided Magic Die. If your roll proves worthy, you will be awarded relic fragments or other rewards. to summon dragon to your park. Allows you the chance to increase the level of a Earth, Water, Air, Metal, or Light dragon once per day. Allows you the chance to increase the level of a Fire, Plant, Cold, Lightning, or Dark dragon once per day. So, 20 fragments to collect, 10 for each dragon. Choosing Bahamut, and collecting the 10 fragments you need, 1 chance to roll per day, about a 20-25% of getting a fragment, and a 5% chance of getting 2. Let's math that real quick. Unassisted, you have 14 dud rolls, 5 good rolls, and 1 critical success. Each roll has an average expected value of 0.35, and it would take you 28.6 rolls to unlock each dragon. If you add +1 every day, you have 13 duds, 5 good rolls, and 2 crits, which increases your expected value to 0.45, or 22.2 rolls per dragon. Whelp, that was short lived. I'm surprised the ap update is out already but that does fit the 8 day teaser when Portent was re-released. -Maxed out on gem for gem friends but always appreciate donations. 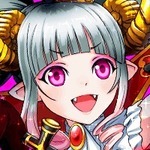 -Hoping to get right now: just the newest event dragons. Hmm, I get slightly different numbers (it's 4:30 am) After 20 rolls (assuming you got each number once), you should have 6 fragments, 0 from the 1-15, 1 each from the rolls of 16-19 and 2 from the 20, average 0.3 (6/20), so 33.3 days to get the dragon. If you +1 every day, you will have 8 fragments, 0 from the rolls of 1-14, 1 each from 15-18, and 4 from 19 & 20. Average 0.4 (8/20) and 25 days to get the dragon. Edit: or did I misread, I thought 15 was a dud roll? Is it a fragment? If it is, I agree with your numbers That would be ~110 gems to save 6 days. Edit (again): That assumes we don't get duplicate fragments. Level 95, 20 elders, 246 Epics and 393 Hybrid dragons crowned. If you want to FB friend me, send a forum msg. Only one for me doesn't show. 😁 The one after, "commence with the hinting." Accepting New Gifts: All gift slots full but available to co-op. So average time to get each dragon will be ~a month, this will at least give something to chase for a while. Once we complete the dragon we initially choose, do you think we will be able to try for the other then? I can't choose between Tiamat and Bahamut -- they both look awesome! Yes, you can start on the other after you get the first. My first roll, and I got a 1. How typical. Yes, 15-19 are the good rolls. And if we can get duplicates, that would make it a coupon collector's problem. I hope it isn't because that would about triple the expected time it takes to get one dragon. What do you mean by this? What did I miss? Choosing Bahamut, and collecting the 10 fragments you need, 1 chance to roll per day, a 20% of getting a fragment (roll 16-19), and a 5% chance of getting 2 fragments (Roll 20). You can 'Add one to your roll' for 5 gems, which would mean 20% chance of 1 fragment (roll 15-18), and 10% chance of 2 (roll 19 or 20). His special power is to level up an Earth, Water, Air, Metal or Light dragon, once per day. Tiamat allows you to level up a Fire, Plant, Cold, Lightning or Dark dragon, once per day. What if all your dragons are already level 20? I wonder if we will ever be able to level up the elemental dragons past 20? Arrgh! That's just as aggravating as rolling badly in an important save roll in D&D! My die looked like it was going to land on 20 for a moment and flipped over to 13 and a food reward. Oh well, one of my favorite characters was killed by Tiamat in an epic campaign many years ago when I still played, so... feeling nostalgic, I guess? Hydrogen is a colorless, odorless gas, which if left alone in large enough quantities, for long enough, will begin to think about itself. So is there a trick to rolling so I can get something higher than a 2 tomorrow? More details: once summoned, you must place either mythical dragons' habitat in your park. To utilize their power, you also roll a die to see how many treats/levels you can get/increase for your dragon. They are: roll 1-9, 10,000 treats; roll 10-19, 25,000 treats; roll 20-21, increase a dragons' level by one and roll again. Allows you the chance to increase the level of X dragon once per day. What if we already have the primary dragon max out? Will we get additional beyond current max? If the level cap remains, then there is really no benefit for us high level players. you can't go passed the maximum level for each dragon. So for primaries that's 21, and for epics/hybrids that's 20, and gem earners that's 10. The benefit is to save cash/treats and get experience quicker, which does indeed benefit newer players more, but I have several dragons that I have not gotten to level 20 yet and I'm at level 90. On the other hand, events usually favor us older players since we have the past dragons/habitats which unlock the next prize tier and we don't have to collect as much event currency. 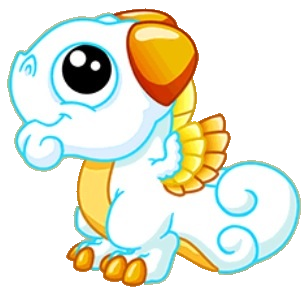 Perhaps they may change things in the future (change the mythical dragons' powers, add more mythicals, increase the maximum dragon level) but for now that's the way things are.